Modern war is law pursued by other means. Once a bit player in military conflict, law now shapes the institutional, logistical, and physical landscape of war. At the same time, law has become a political and ethical vocabulary for marking legitimate power and justifiable death. As a result, the battlespace is as legally regulated as the rest of modern life. 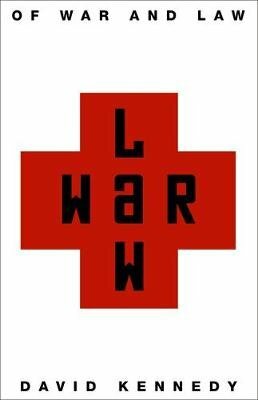 In "Of War and Law," David Kennedy examines this important development, retelling the history of modern war and statecraft as a tale of the changing role of law and the dramatic growth of law's power. Not only a restraint and an ethical yardstick, law can also be a weapon--a strategic partner, a force multiplier, and an excuse for terrifying violence.